Posted in Explore, Food, Fun	by C.
Two exciting ways to start a weekend? 1). Trying out a new coffee spot for the first time. 2). Trying out a new coffee spot for the first time while on the way to hang out with your favorite person at the beach all day! 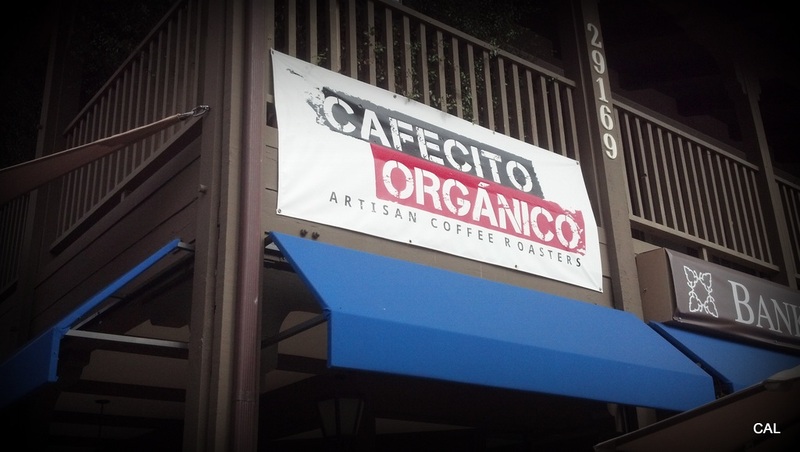 Cafecito Orgánico sits in a small shopping center in Malibu just off PCH. Of course, what drew little ol’ me towards the small cafe was the fancy schmansy name and the fact that I desperately wanted a latte next to me on the beach. I have to say, I got a bit of the Graffiti Coffee Bar vibe from here. Again, a very simple (though not nearly as dramatic) interior are about all you get visually – but the awesome coffee art they draw in your latte makes up for the lack of punch in the store design. They’re proud to boast that they, too, use only the finest of beans (which reads awesome coffee, but expensive). I had no huge issues in particular, just a few slight annoyances that came up that put this place in the blah category. Cafecito Orgánico is yet another establishment that doesn’t offer vanilla syrup (which is a sin in my book). The menu lists random drink names that I’ve never heard of and doesn’t offer a description which prompts you to have to bug the poor Barista about what the heck a “global warming” is? 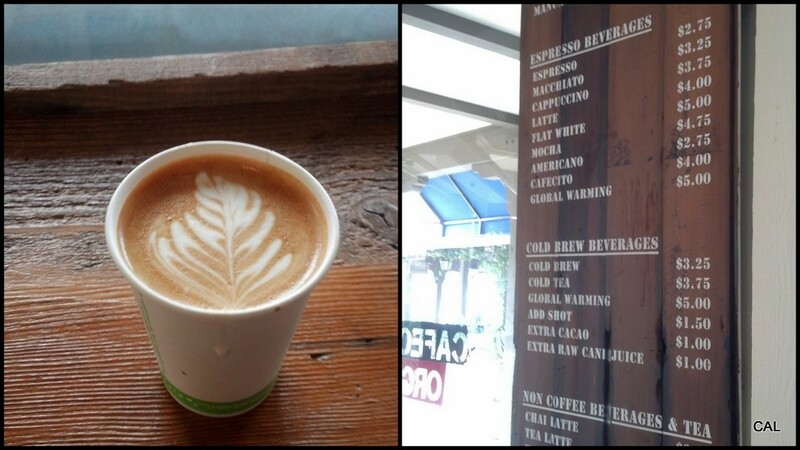 In the end, I went with a “cafecito” at their suggestion. Boy, was it strong! This is in large part because I’m sure my 5 year association with Starbucks and their infamously so-so espresso has likely ruined me in truly appreciating the delicacies of fine Central American artisan coffee, and very much because I’m a girl that has to have some flavor in her latte (hence my annoyance with no vanilla syrup in-house). A cool thing that makes this place stand out is in their use of modern technology. Upon ordering my super duper small beverage for a mere $4.00; an iPad screen was flipped my way that gave me the total, asked if I wanted to include a tip, and if I wanted the receipt emailed, texted, or printed out for me. Pretty neat. In the end, I can’t say I’d make it a point to have to stop here on the way to the beach in the future. Nothing against Cafecito Orgánico, but I like my syrup in addition to saying I’m drinking high quality coffee beans. I’d rather head over to Graffiti Coffee Bar where at least I’m paying an arm and a leg for a latte, but I also get my vanilla flavoring AND an always much needed opportunity to enjoy the warmth and gaze longingly at the fireplace…in 90 degree weather.